Micropyretics Heaters International is recognized as an industry leader in custom-built elements and furnaces. Our design teams have the expertise to make true customization possible, and we are able to build to your specifications from the ground up. Safety: Double walled Stainless Steel construction. This, along with the FiberFree™ refractory, allow for a safe exterior working environment (~50°C or lower). Standard on many furnaces. 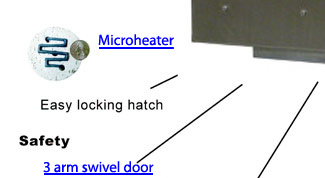 MHI furnaces, where applicable, have three-arm balanced swing away doors that keep the hot surface side away from user. High Temperature Furnace Classes: Almost all MHI furnaces are lined with non-toxic FiberFree™ refractory in the furnace chamber. FiberFree™ refractory is a safe-to-use insulation which does not contain any toxic short fibers. Please check detailed specifications that are provided with quote. 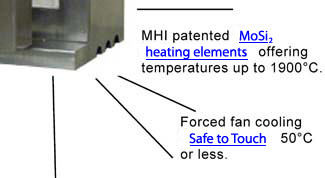 Non-sag roof technology: MHI also uses the unique RHD FiberFree™ refractory for the roof of most furnaces. This novel refractory does not crack during cycling at operating temperatures which allows for longer life of the furnace and longer life from the heating elements. Less cracks and longer life means you will be running your furnace more efficiently and have an overall savings (monetary, energy, replacement materials, etc.). This FiberFree™ material advantage is uniquely available from MHI! 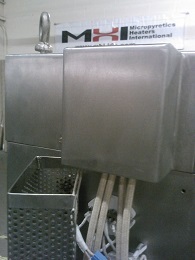 Robustness: MHI uses nanofractal roof hangers. Unique Hearth Designs: Several bottom loader type furnaces now have floors that come standard with removable hearths. On large bottom loader furnaces we have added a new design feature, which makes the already sturdy door-top fully removable and lockable. If you ever damage the floor of the door - simply change out this piece without incurring the larger cost for the entire door. Hearths Platescan reach 2000°C operating temperatures with the unique the non-toxic FiberFree™ refractory. Easy repacement through the MHI store. 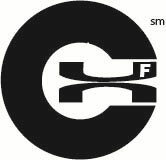 Uniformity: As high as +/- 2°C temperature uniformity for small chambers. Slightly more as the size increases. Uniformity is related to insulation quality and quantity, furnace design, best heating elements and high class control systems that for example are easily accepted in US governmnet laboratories. Overall care matters when mating ceramics, thick gauge stainless steel and high temperature heating elements. we often find the MHI provides an additional layer of insulation compared to other manufacturers and provides the latest in feedback control electronics. Our heating elements routinely outperform. MHI offers the highest temperatures and longest life available in MoSi2 and GAXP heating elements. (Please see customer testimonials for elements). 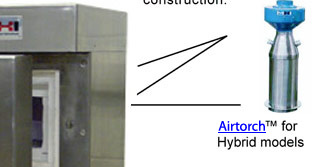 Unmatched high alumina roof hanger designs. Do not settle for a furnace without roof hangers. Versatile Controls and Data Acquisition. Awards: MHI has received the prestigious R&D100 and other awards for its heating elements, refractory materials, and furnaces. This shows our commitment to innovation and continuous improvement so that you have the highest quality and best performing furnace. Access to best practices and patented technology: We are a completely integrated high temperature furnace manufacturer which allows us to respond quickly and efficiently to our customers' needs worldwide. MHI has several service testimonials from satisfied customers. Versatile: MHI furnaces are used in diverse applications from chemical processing, vapor deposition, nano scale processing, materials processing and energy conversion from R&D to prototypes to industrial scale operations. Flexibility: When appropriate MHI takes significant care in providing versatility. Mutitap transformers are often automatically provided when we understand that the customer may move the furnace over time to a different location. 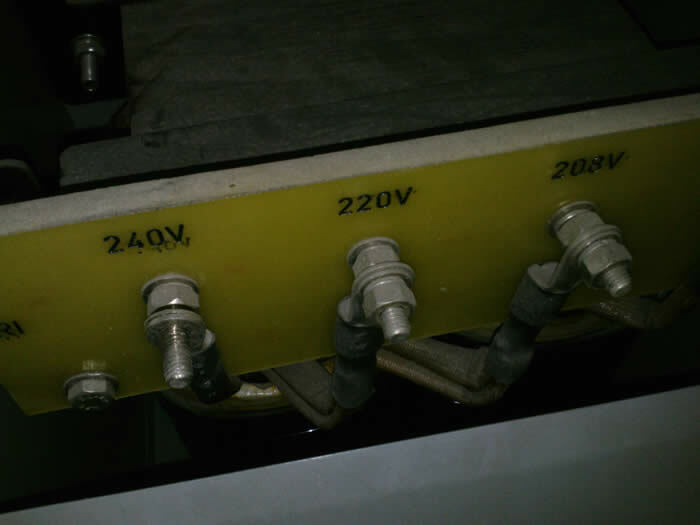 In some areas of the world there is a need for mutitap transformers in order to cater for long-cycle voltage fluctuations. Regardless it is very important for user to specify correct voltage at time of oredering. 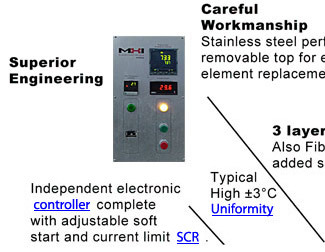 MHI manufactures novel devices when standard furnaces cannot meet your needs. Please contact us. Customized to meet your specific requirements. Our customers continue to push the envelope of technology. MHI has proven to the production and research communities that we can provide the operation, uniformity, and performance necessary to complete their requirements. As a technology leader, we are constantly developing new devices to help the research and industry meet their heat treating goals, from special element shapes, customized continuous furnaces to our novel Zapper™. If you have a unique requirement and need a custom solution, please call on MHI to provide the timely and accurate answer.